Whenever i see Love Me Beauty offering product from Kat Von D, I'm always curious to try them out because up until recently it wasn't so easy for me to get my hands on (apart from ordering online) so i really liked that LMB had samples from the brand that allowed me to try them out before committing to a full size. 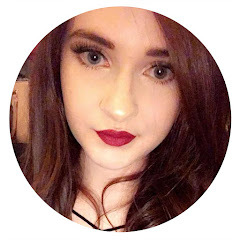 The most recent Kat Von D product from Love Me Beauty that I've been trialling out is the Kat Von D Studded Kiss Lipstick in the shade Cathedral. Initially, i was expecting the shade Mercy as that was what i asked for when i selected my Love Me Beauty products but when it arrived, I'd been given the shade Cathedral. Luckily, Cathedral is stunning and I've been loving wearing it - it gives me such autumnal feels. I'd describe it as a plummy brown shade - it's almost like those 90s style brown nudes that have become very popular but it has a slight mauve/plum tone to it. It's absolutely gorgeous and I've found myself reaching for it quite a lot, especially for nights out as it just stays on my lips all night and i rarely need to reapply it - in fact, i don't think I've had too. It has a matte finish to it but it's not drying on the lips, in fact it has quite a creamy formula that dries down matte and just feels really comfortable to wear. The pigmentation is great and builds up to an opaque lip really easily. 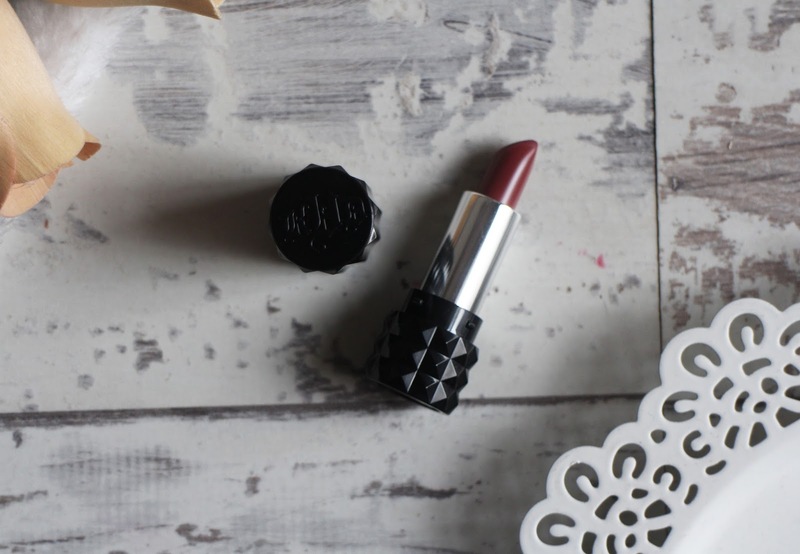 I do only have a small sample size of this lipstick (1.2g) but I'm obsessed with this studded packaging - it's so different to any lipstick i own, it's quirky and edgy and i just love it. It's definitely suited to Kat Von D as she is very edgy and cool, so i think the packaging represents her perfectly. The full size Studded Kiss Lipsticks retail for £17 which is the average price for high end lipsticks, they have a really good range of shades too - i love the look of POE as it's a stunning blue shade and i have nothing like that in my collection. It'd definitely a little bit more of a splurge but i personally would be happy to pay that amount as it's a good quality lipstick. 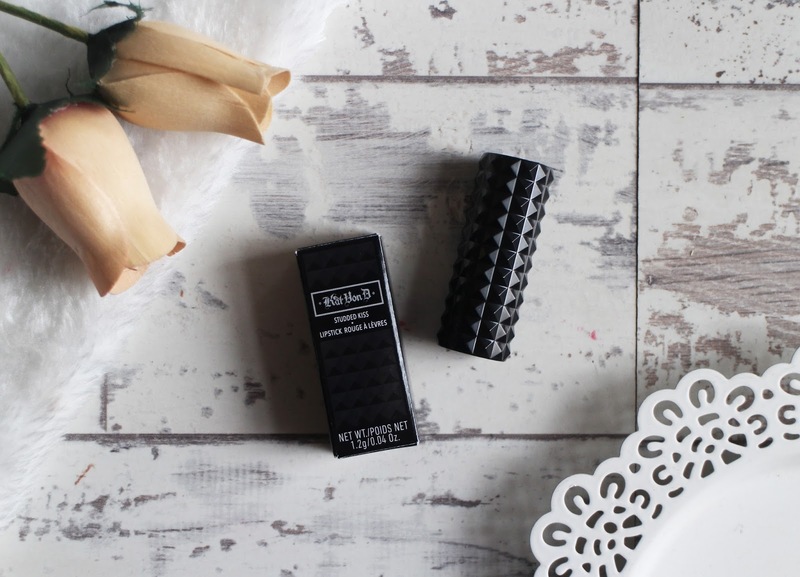 Have you tried any Kat Von D Studded Kiss Lipsticks? 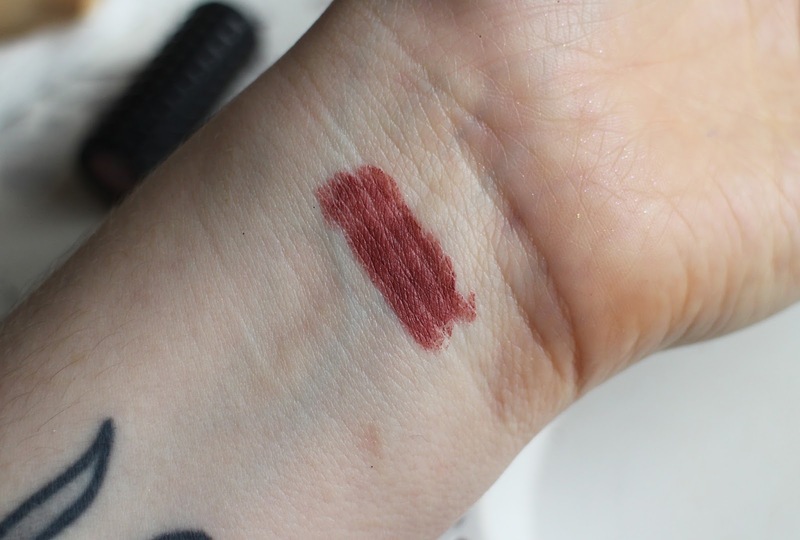 This shade is gorgeous, I can definitely see myself wearing it in Autumn!